En cette période NBA folle, pour ne rien rater des transferts, signatures, prolongations, joueurs coupés, voici un article où nous mettrons à jour les mouvements pour chaque équipe. (n’hésitez pas à nous signaler une erreur ou un oubli). Rappelons que la free agency débute demain (à 6h heure française) et que les signatures ne pourront être officialisées qu’à partir du 6. Atlanta Hawks: Malcolm Delaney, Damion Lee, Josh Magette, Andrew White (R). Boston Celtics: Aron Baynes, Jabari Bird (R), Jonathan Gibson, Shane Larkin, Greg Monroe , Marcus Smart (R). Brooklyn Nets: Quincy Acy, Dante Cunningham, Milton Doyle (R), Joe Harris, Jahlil Okafor, Nik Stauskas, James Webb III (R). Charlotte Hornets: Michael Carter-Williams, Treveon Graham, Marcus Paige (R). Chicago Bulls: Ryan Arcidiacono (R), Zach LaVine (R), David Nwaba, Noah Vonleh. Dallas Mavericks: Seth Curry, Yogi Ferrell, Aaron Harrison (R), Doug McDermott, Nerlens Noel, Dirk Nowitzki, Salah Mejri. Denver Nuggets: Will Barton, Torrey Craig (R), Devin Harris, Richard Jefferson, Nikola Jokic. Detroit Pistons: James Ennis, Kay Felder, Jameer Nelson, Anthony Tolliver. Golden State Warriors: Chris Boucher, Kevin Durant, Kevon Looney, Patrick McCaw (R), JaVale McGee, Zaza Pachulia, David West, Nick Young. Houston Rockets: Trevor Ariza, Tarik Black, Markel Brown (R), Clint Capela (R), Gerald Green, Joe Johnson, Luc Mbah a Moute, Chris Paul. Los Angeles Clippers: Avery Bradley, Montrezl Harrell (R), DeAndre Jordan, Tyrone Wallace (R). Los Angeles Lakers: Kentavious Caldwell-Pope, Channing Frye, Andre Ingram (R), Brook Lopez, Gary Payton II (R), Julius Randle (R), Isaiah Thomas, Travis Wear (R). Memphis Grizzlies: Mario Chalmers, Tyreke Evans, Omari Johnson. Miami Heat: Luke Babbitt, Wayne Ellington, Udonis Haslem, Derrick Jones (R), Jordan Mickey, Dwyane Wade, Derrick Walton Jr..
Milwaukee Bucks: Shabazz Muhammad, Xavier Munford (R), Jabari Parker, Marshall Plumlee (R), Jason Terry. Minnesota Timberwolves: Nemanja Bjelica, Aaron Brooks, Anthony Brown (R), Jamal Crawford, Marcus Georges-Hunt, Amile Jefferson, Derrick Rose. New Orleans Pelicans: Charles Cooke, Ian Clark, DeMarcus Cousins, Jordan Crawford, Rajon Rondo. New York Knicks: Michael Beasley, Isaiah Hicks (R), Jarrett Jack, Luke Kornet, Kyle O’Quinn. Oklahoma City Thunder: Corey Brewer, Nick Collison (retraite), PJ Dozier (R), Raymond Felton, Paul George, Jerami Grant, Daniel Hamilton (R), Josh Huestis. Orlando Magic: Arron Afflalo, Jamel Artis, Aaron Gordon (R), Mario Hezonja, Shelvin Mack, Marreese Speights. Philadelphia 76ers: Marco Belinelli, Demetrius Jackson (R), Ersan Ilyasova, Amir Johnson, JJ Redick. Phoenix Suns: Danuel House (R), Alex Len, Elfrid Payton, Alec Peters (R). Portland Trail Blazers: Pat Connaughton, Ed Davis, Shabazz Napier, Jusuf Nurkic (R), CJ Wilcox. Sacramento Kings: Vince Carter, Bruno Caboclo, Jack Cooley (R), Kosta Koufos (P), JaKarr Sampson (R). San Antonio Spurs: Rudy Gay, Kyle Anderson (R), Davis Bertans (R), Matt Costello (R), Bryn Forbes (R), Tony Parker, Darrun Hilliard (R), Joffrey Lauvergne. Toronto Raptors: Lorenzo Brown, Malcolm Miller, Lucas Nogueira (R), Fred VanVleet. Utah Jazz: Dante Exum (R), Derrick Favors, Erik McCree (R), Raul Neto, Georges Niang (R). Washington Wizards: Tim Frazier, Ty Lawson, Chris McCullough, Ramon Sessions , Mike Scott, Jason Smith (P). 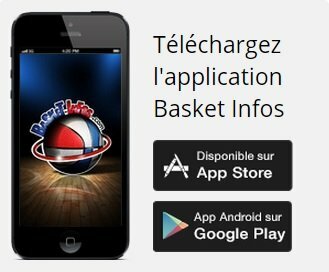 Vous êtes ce qui se fait de mieux basket info, vous êtes au top !